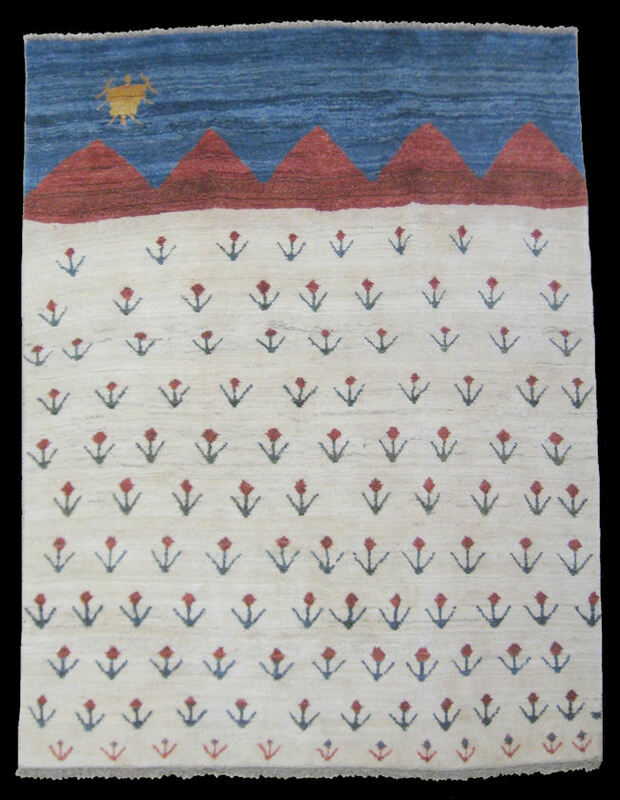 This Gabbeh portrays a Landscape of a poppy field and mountains in the background. 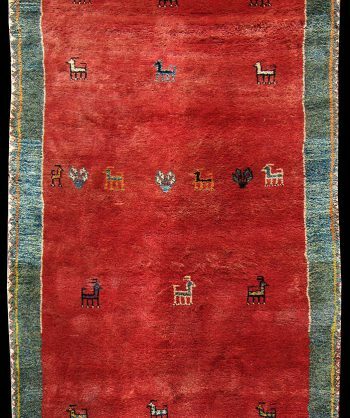 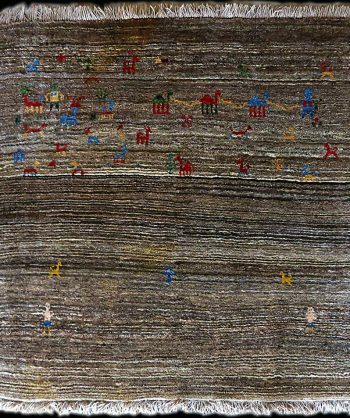 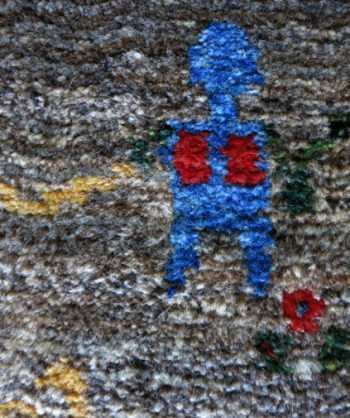 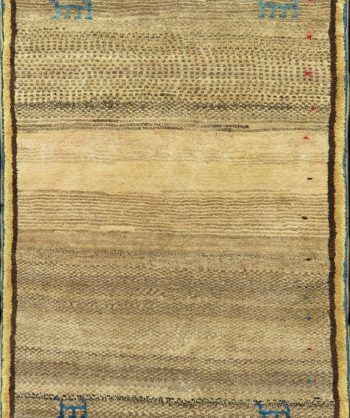 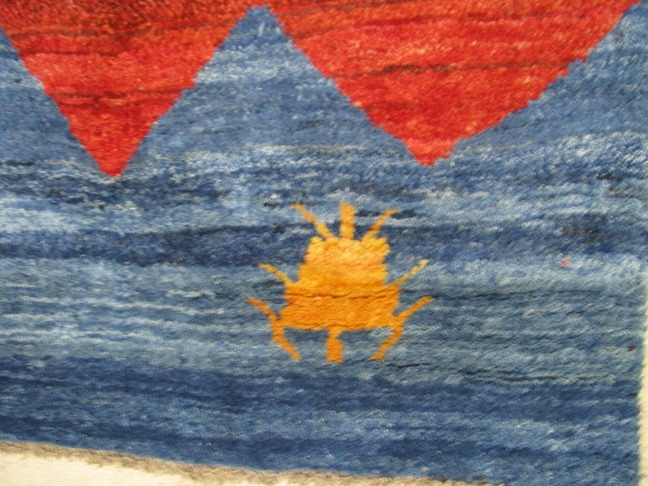 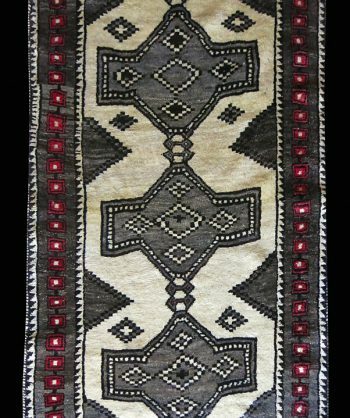 It is a one of a kind work of art representing one of the many fields the tribe and it’s member who made this rug have set up camp. 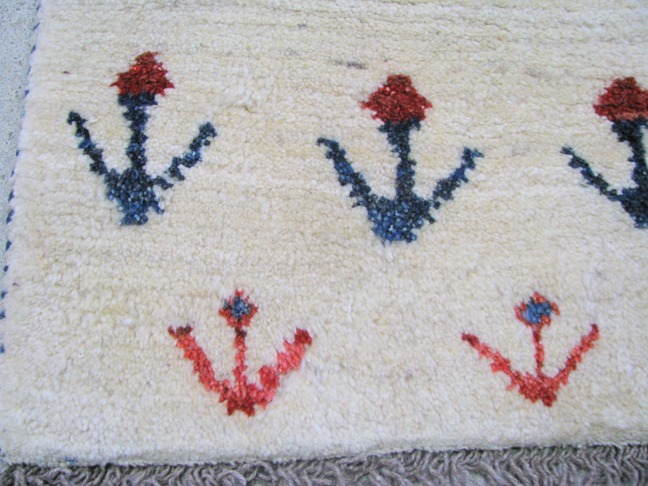 It is 30-40 years old but NOT used. 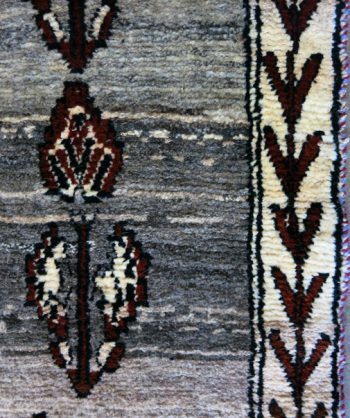 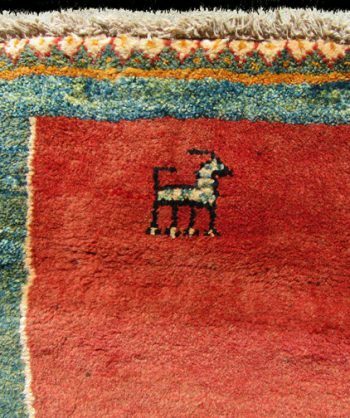 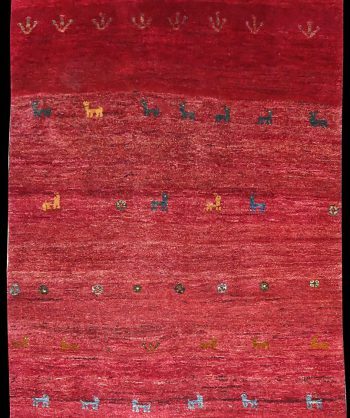 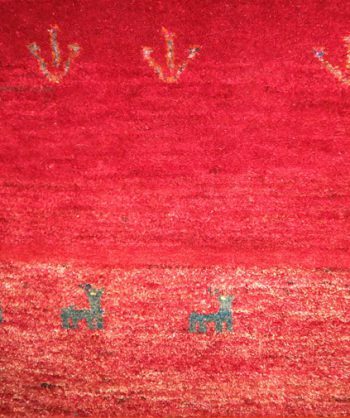 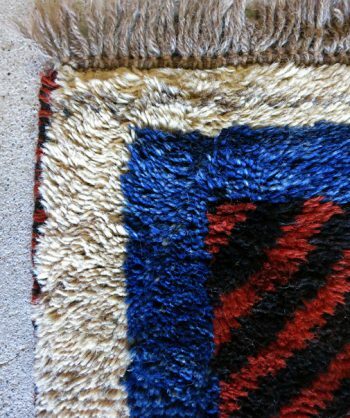 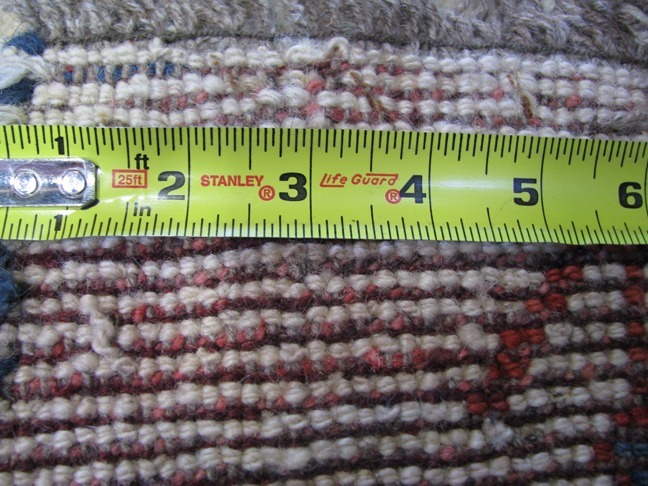 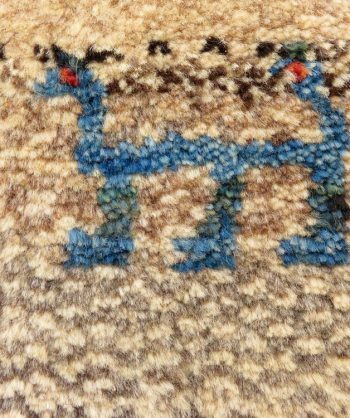 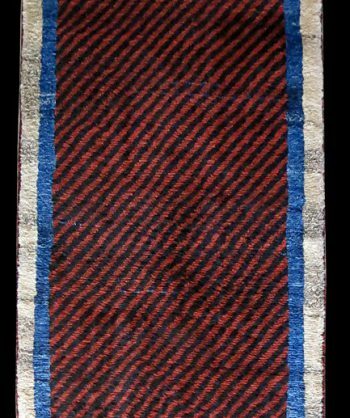 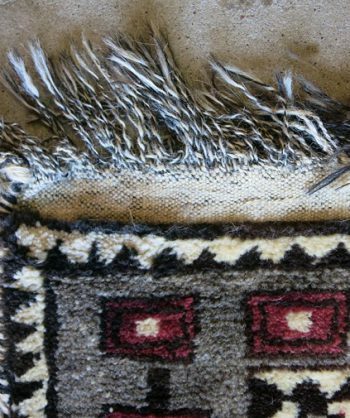 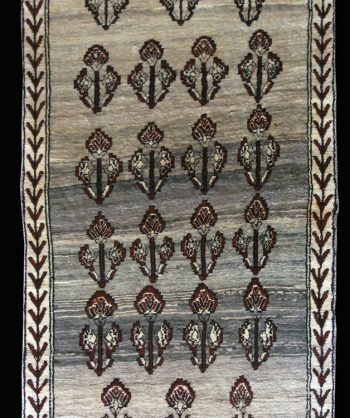 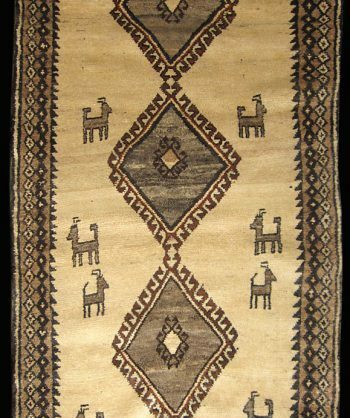 Many of these Gabbeh rugs sat in warehouses for 30 years due to a trade embargo. 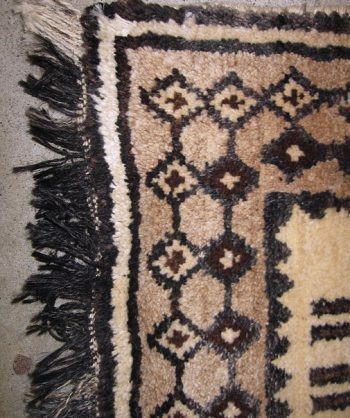 It has only been in the past few years that they have once again become available to the western market.